Legal AI company Voltaire has launched an application that will allow lawyers and litigation consultants to rapidly analyse potential jurors by crunching public Big Data, including social media posts. The system is of primary use in America and similar legal systems where lawyers for either side in a trial are allowed to research potential jurors before the case commences and selectively apply preemptory strikes, or make a case for a ‘for-cause’ in order to seek a better outcome for their client. 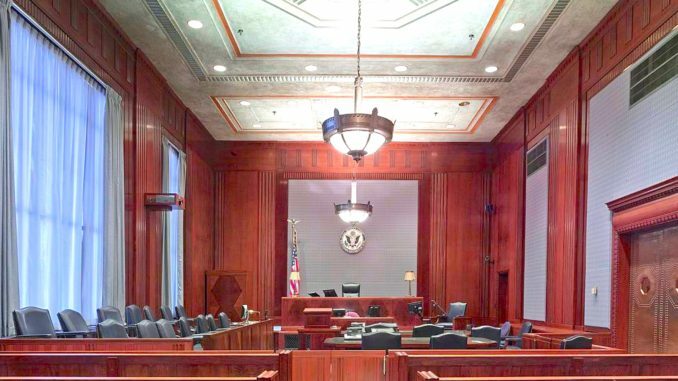 Also known as the voir dire phase of trial, jury analysis and selection is an often complex and time-consuming element to much US litigation. Voltaire hopes to use AI, such as machine learning and natural language processing (NLP) to not just greatly speed up the process, but to provide lawyers with new insights via Big Data analysis that would normally be very hard and expensive to attain using manual methods. Colorado-based founder and former IBM staffer, Basit Mustafa, explains to Artificial Lawyer that Voltaire explores all public data related to the potential juror, correlates the data against known patterns in human behaviour and then produces a detailed profile, with indications of the type of person they are and how their views and biases may be a positive or negative factor as part of a jury. 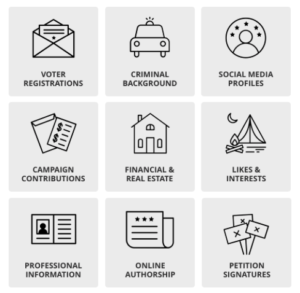 Voltaire begins with basic data such as addresses, age, education, jobs and then moves into business and legal history of the person, then social media posts, which includes examining Twitter, Facebook and other social platforms for any signs of a particular ‘sentiment’ toward certain issues that may be relevant to the trial. All of this is done in moments and the results presented on a lawyer’s iPad or laptop so they can access the data as they stand before juries in the courthouse. The social media analysis can continue through the trial, or focus on the day before jury selection to help lawyers ascertain the ‘mood’ of the potential juror. For example, if a juror has indicated they greatly dislike jury duty, or generally feel very antagonistic about a certain issue that will feature in the trial, then lawyers can quickly address this, or at least be informed. But, Mustafa notes, the analysis of social media is carefully balanced. For example, he says, a person might be interested in a certain subject and follow a range of people with different views. What the system is looking for is a heavy bias toward a certain view in who or what a person follows, tweets about or is connected to. The company uses a mix of different types of NLP to do this, including software from Google and IBM Watson. The end result is a layout diagram of the jury, with each person having tags signalling certain key aspects about them. 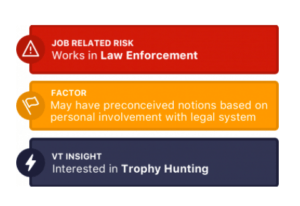 As a lawyer learns more about a person by questioning them they can add in and/or reject certain conclusions made by the AI system, which are then automatically taken into account and update the profile accordingly. Although all of the data sources are public, and in which case one could argue that anyone could find this data if they wanted to, the real application of Voltaire in the view of Mustafa and his team is that detailed, cross-referenced insights can be found that most lawyers and litigation consultants would simply not have the time to do, at least not effectively in terms of using their billable time. That is to say, who is going to trawl through so much financial, educational, geographical, business and other data, then correlate it, tag it and then by using consistent algorithms provide real insight into how that person may see a certain issue or react to a certain argument of the lawyer? As Mustafa says, one other benefit here is that the algorithms the company uses to, for example, identify sentiment, don’t change depending on whether the lawyers examining the jurors are in a good or bad mood themselves. In this respect Voltaire is bringing some objectivity to what can be a very subjective process. One challenge Mustafa and Voltaire have had to overcome is the rare instance when a juror has a very popular name and there may be several such named people in the jury catchment area of the court. This is made more complex because different courts give out different types of data about jurors depending on the local county. Some give out not much more than the name. Others will give address and other detailed data, which provides an early accurate picture. This means that Voltaire has been designed to be flexible and can be corrected as the voir dire process goes along. In counties where there is limited data it is possible the system could latch onto the wrong ‘John Smith’. But, once a comparison of ages and other data is made, the lawyers standing in front of the juror will know very quickly which one they are. This can be inputted into the system, which then provides the correct profile. Mustafa accepts that no system is perfect, but, perhaps the way the system can adapt allows for Voltaire to keep up with changing input data. In any case, at present there does not seem to be anyone else using this level of technology to address the cumbersome and data-heavy problem of jury selection. But how did Voltaire come about? As mentioned Basit previously worked for IBM and also was a founder of a start-up in 2010 called Wu-Way, which was a cloud-based service that helped executives to automate their business processes. So, that’s the tech and start-up angle covered. But, what about the legal? Mustafa is not a lawyer. How did he get so interested in the arcane subject of jury selection? Mustafa explains that he is on the local board of the American Civil Liberties Union, or better known by its famous acronym, the ACLU. There he got to know many lawyers and heard about the issues they had during voir dire. Mustafa saw an opportunity. After three years of experimenting and development, which saw him write all the code for the first version, Voltaire is now tested and looking to widen its client base. The company has several external investors, some of whom are angels. 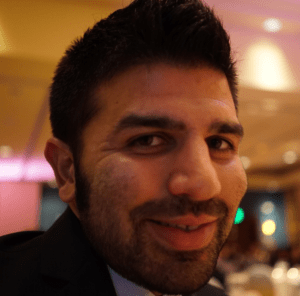 It’s also growing and has several staff now, including Mike Miceli, the new chief marketing officer, who previously was at another legal tech company, Rocket Matter. As Artificial Lawyer concludes the interview one thing is striking: once you start to consider the use of AI to detect patterns in human behaviour, especially in relation to the legal context, then what Voltaire could do may be far broader than jury selection. After all, why not examine witnesses, company officers, or even companies as a whole, with this technology ahead of trials? Mustafa agrees, there are many other uses. But first the aim is to get jury selection perfected. However, he adds, even as AI technology such as Volatire expands in the years ahead, the role of the lawyer, especially the trial attorney, will remain vital. ‘Voltaire is there to help the attorney, it cannot replace their oratory in court or their emotional intelligence,’ Mustafa concludes.